David Le/Gloucester Daily Times. Heather Adams, 8, left, and Isabella Thurlow, 7, both of Essex raise their hands to tell musician John Root what they just heard, while Jake Zschau, 3, of Manchester, covers his ears from the noise. 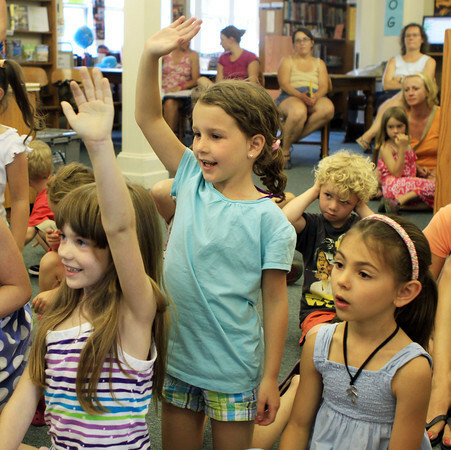 A World of Music program was held Monday afternoon at the TOHP Burnham Library in Essex. 7/11/11.